Conferences are fabulous places to hear directly from experienced unschoolers, ask questions, and alleviate some of your own fears. Several of our Unschooling Mom2Mom moderators as well as some of the experienced unschooling moms posting on our UM2M Facebook Group are speakers at these conferences. Be sure to find them and introduce yourself! Many of the family conferences have specific activities for adults, children and teens. Be sure to check out their website so you'll see what they're offering. We're also including some fabulous retreats, trips and opportunities for unschooled teens to travel the country and the world! Join us! Check out the list for 2017! Getting connected with local unschoolers can help in so many ways! We've collected links to unschooling Facebook groups a little closer to home. We've included cities, regions, states, countries, as well as special interest unschooling groups. Find local unschoolers near you! We have a collection of Facebook groups that unschoolers find helpful. Of course, continue to use Google. But you can also join a couple of these groups and pick the brains of their members. Let's see what's over there! 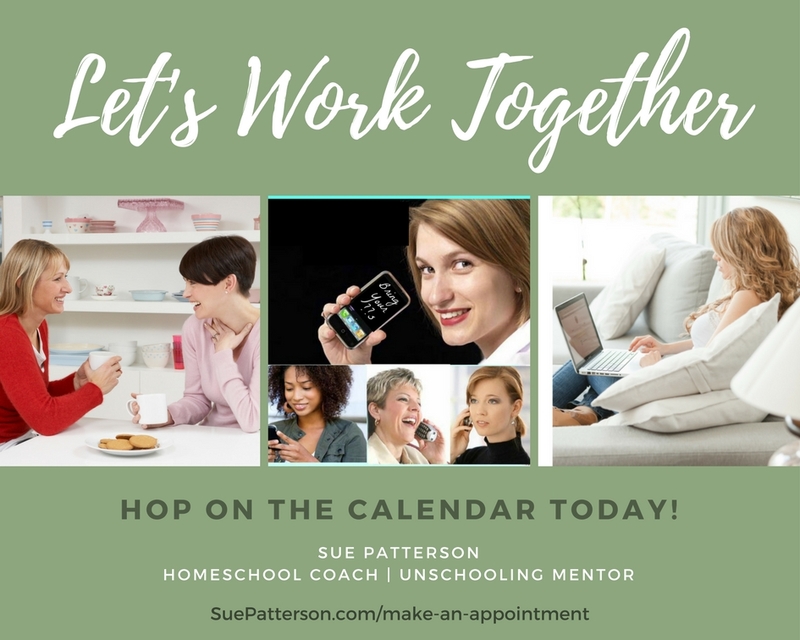 Sue Patterson offer a coaching page on Facebook for moms who are looking for a little more introspection. She shares thoughtful articles and inspiration that can help as you're trying to figure out how to be the best mom you can be!